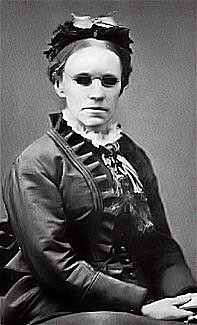 Fanny Crosby, 1886. Appeared in Gospel Hymns No. 5, edited by Ira San­key, James Mc­Gran­a­han & George C. Steb­bins (New York, Chi­ca­go & Cin­cin­na­ti: John Church/Big­low & Main, 1887), number 8. Cook Islands Ira D. San­key (🔊 pdf nwc). No, I cannot do it at present. The following day we went for a drive, and expected her to go with us, but to our astonishment, she asked to be excused, saying that she had something she wished to do. After we had gone, a number of students came in and had a pleasant chat with Fan­ny Cros­by, and after they had gone she sat down at the piano and played my tune over, and the words of the hymn came to her as they now stand. Upon our return she hastened to meet us, and recited the verses to me. Fan­ny Cros­by spent eight summers with us at North­field, and on a recent visit here she told me that some of her happiest days were those at North­field, and, referring to this hymn, she said she knew that she had been permitted to do a little good there. She also told me that she knew that many a poor soul had been comforted by this simple hymn. Shall fill thy soul with light.